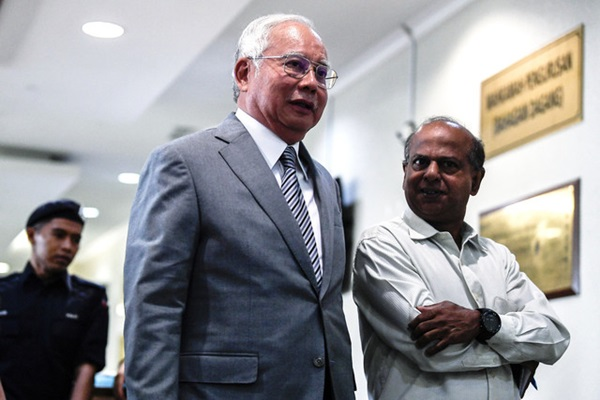 KUALA LUMPUR: The trial of former prime minister Datuk Seri Najib Tun Razak on seven charges involving SRC International Sdn Bhd funds entered its third day today with the defence team cross-examining Bank Negara Malaysia (BNM) manager Azizul Adzani Abdul Ghafar. “So, we can proceed with the trial for the defence to cross-examine the witness,” said Thomas before High Court Judge Mohd Nazlan Mohd Ghazali. Following that, the court adjourned the trial for more than an hour and when proceedings resumed, Deputy Public Prosecutor Datuk V Sithambaram informed the court that the prosecution needed time to make copies and arrange the documents according to index, saying that as at 4.15 pm, they were able to complete three documents. Najib’s SRC trial enters third day 0 out of 5 based on 0 ratings. 0 user reviews.